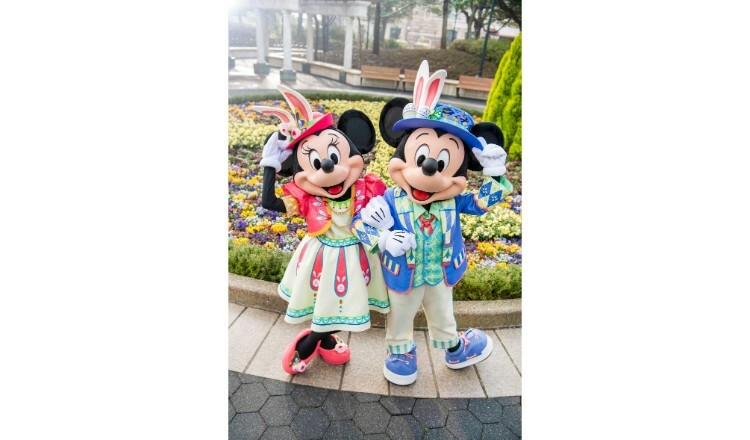 Disney Easter will run from April 4 to June 2 this year at Tokyo DisneySea® and Tokyo Disneyland® with both parks taking on different themes. At Tokyo DisneySea, Usa-Piyo, the cute chicken-rabbit mutation from the LINE messenger app, will make his first ever appearance alongside the Disney cast. 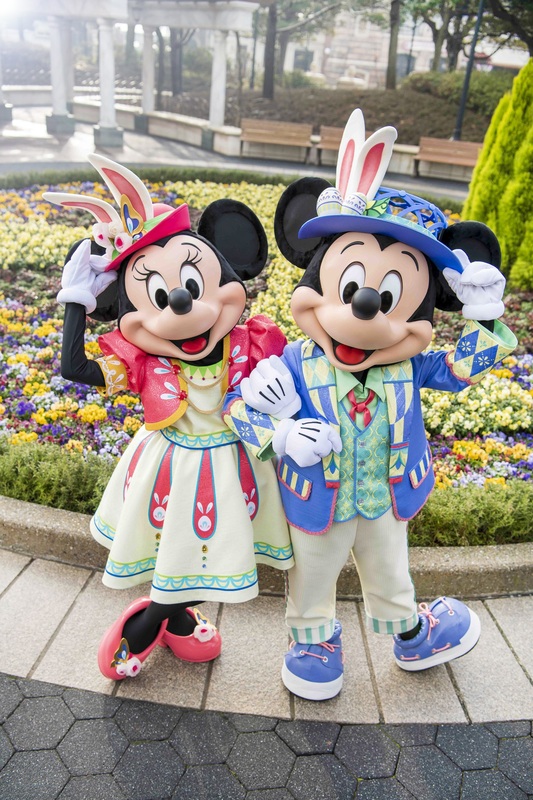 A new 25-minute show titled Tip-Top Easter will take place at Mediterranean Harbor this year. The harbour show will feature appearances from Mickey and Minnie Mouse. Newly-hatched Usa-Piyo chicks will celebrate alongside Mickey and friends as part of the show, there will also be a dance contest, and much more. In the run up to the show, both Mickey and Minnie’s costumes have received an early unveiling. The cute costumes take on pastel colours with lots of Easter designs dotted around them. 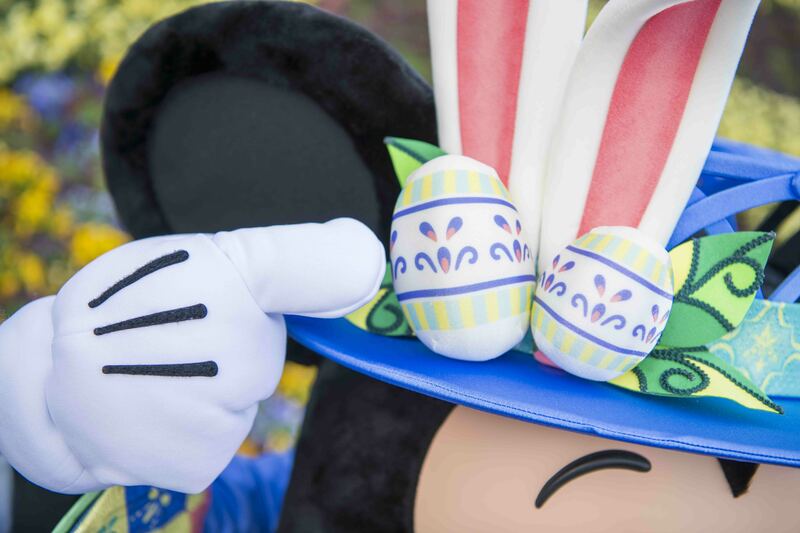 Mickey’s hat is adorned with Easter eggs while his jacket collar has designs of the balloons that will appear as part of the show. 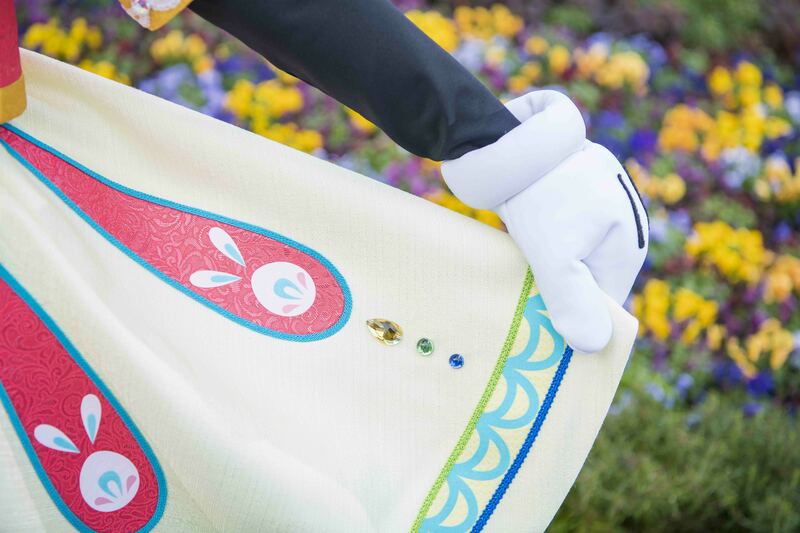 Minnie’s stylish outfit has rabbits all around made from an Easter egg and rabbit ear design. Of course, the other cast characters set to take part in the show will have Easter costumes on too. Celebrate Easter this year alongside the Disney cast and the adorable Usa-Piyo.